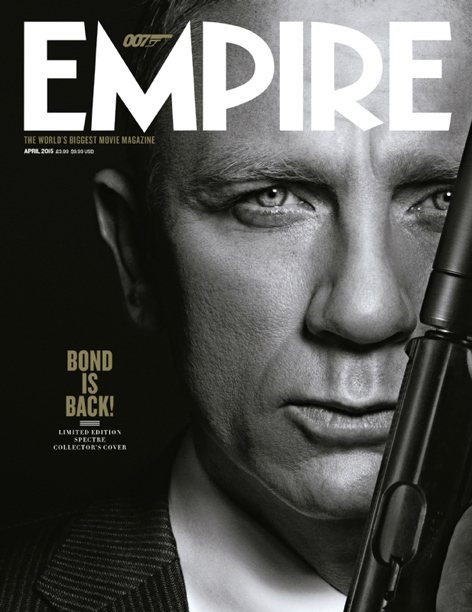 Empire visited Eon's Pinewood set and the snow-covered Austrian Alps to speak to Bond producers Michael G. Wilson and Barbara Broccoli, as well as some of the new characters in Bond's life. Tidbits from the feature will appear on EmpireOnline.com in the run-up to the magazine. 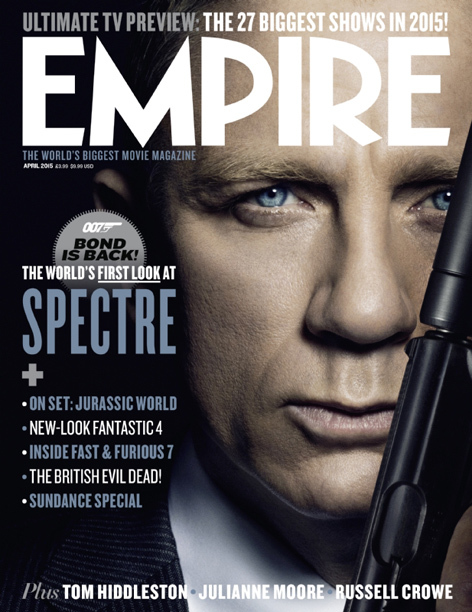 Both versions of the cover are great and just scream 'Bond'. A version of the black and white picture with the SPECTRE bullet-hole logo added would make a great additional teaser film poster too.